Laughin' Lenny's mainstream clean and funny approach to comedy has allowed him to stand out as one of the elite performers of today. 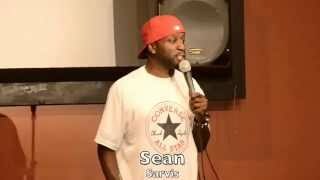 He has appeared not only locally but, overseas for the military and around the country at different comedy venues. Lenny's motto is "YOU AIN'T READY FOR ME YET" and once you have see him you will understand why he is one of the funniest comedians in the market today.